The long anticipated new (fourth) edition of Songs of Zion by Michael Bushell is now available here in softcover and here in hardback. The website also provides a preview of the book. This is a wonderful contemporary treatment of the debate over Psalm singing. Bushell covers almost everything from history to exegetical issues. I am looking forward to seeing what had been added to this new edition. Let us hear your thoughts. Thanks to Scott Maciver for bringing the book and review to our attention. An Article entitled “Psalmody” in The Reformed Presbyterian and Covenanter magazine, 1866, pages 337-339. “The subject of Psalmody has of late received but little notice in this magazine. The reason is not a want of interest in the subject, or any indisposition to aid in maintaining the exclusive use of “the book of Psalms” in praising God. We thought that the nation’s duty to acknowledge Christ is especially the present truth. This belief has led us to employ largely our pages in explaining and enforcing this neglected national duty. Moreover, our U. P. brethren have given of late the question of psalmody a great deal of their attention, and in their controversies with those who deny that the book of Psalms is the only authorized matter of praise, they have done their work so well as to leave us under no necessity to give a helping hand. This article owes its existence not to any pressing need for further light on the subject of psalmody, but to notice a little volume which has been laid on our table by its author, who is an acquaintance and neighbor. The title of the volume is, “A Vindication of the Letters on Psalmody, from the Strictures of John T. Pressly, D. D., by William Annan.” The letters to which there is here reference, were reviewed with a good deal of keenness and severity, but with entire justice, in our pages several years ago. The Strictures of Dr. Pressly we do not recollect to have seen, but we doubt not that they were written with the characteristic ability and clearness of this author. Our remarks are suggested by looking over the Vindication, and we present them just as they occurred in perusing the book. 1. 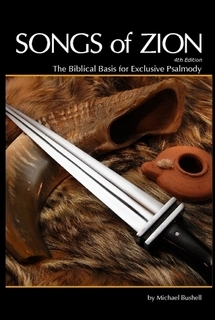 It is of no importance in the controversy about psalmody, whether the authorized version was or was not the production of Rouse. That he had something to do with making it, is agreed on all hands, and we have no objection that for convenience it be called by his name. 2. It is of no importance in the controversy, whether there are changes and additions in Rouse’s version. All agree that there are, as there must be in any version, whether in metre or in prose. The only question respecting it is, Is it a version? This is admitted on the other side. These mutual concessions should place this point out of dispute. But this is not the mind of the author of the Vindication. “Forty pages of the Letters on Psalmody,” he informs us, are occupied in showing that Rouse’s version contains expressions that are not in the Psalms in prose. By parallel columns and juxtapositions, the important fact is demonstrated. The first part of the “Vindication,” comprising sixty-seven pages, is devoted to the same object. Now we ask, what has this to do with the argument in question? A superficial reader of the pages noted above, might readily come to the conclusion that Mr. Annan had become a champion for the exclusive use of the Book of Psalms, and one of the strictest sect, for he lectures with no little zeal our U. P. friends for using a version made with the usual poetic license. Nothing it seems will do him, but the very inspired words. Of course he will have to chant the Psalms in Hebrew. But brother A. has not changed his mind on the subject. The pages referred to are employed to bring down, it is hoped, with crushing weight on those whom he opposes, the argumentum ad hominem. The design is to show that they, in using Rouse’s version, do the very same thing that they condemn in others. Now suppose that this is true, does it prove anything? Does it add the weight of a feather to the cause which is so earnestly advocated? 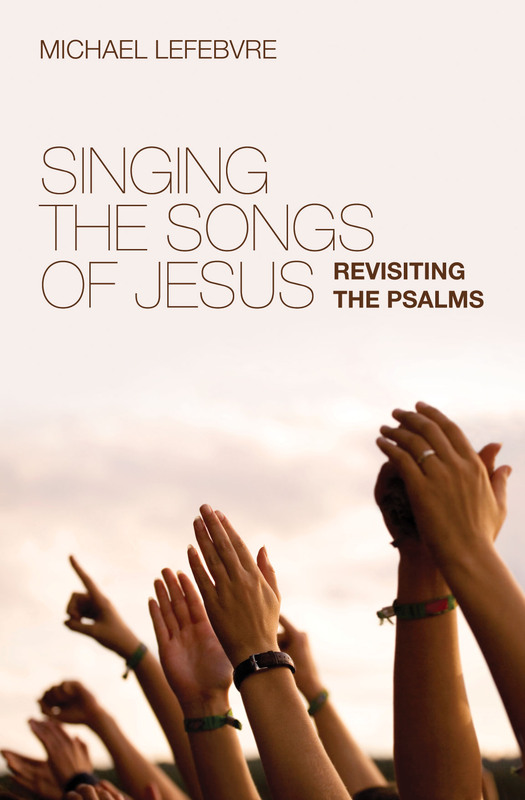 We who contend for the exclusive use of “the Book of Psalms,” may act very inconsistently in using Rouse’s version that has some changes and additions, but how this justifies others in singing hymns, we cannot see. If we do a certain thing, that is no reason why they should do another thing altogether different, nor why we should not find fault with them for doing it. But there is no place for the argumentum ad hominem. “We will show this, and leave the forty pages in the “Letters,” and sixty-seven pages in the “Vindication,” just so much useless paper. “What we claim for the psalms that we sing, is, that they are a version ofinspired psalms. We hold that a version of inspired psalms should be exclusively used in praising God. Everybody knows that in changing prose into poetry, there must be the introduction of new words. We believe, however, that this does not necessarily change the meaning of what is versified. To do so would be to go beyond the limit of poetic license. We deny that this is done in Rouse’s version. We do not claim inspiration for the version, but we claim inspiration for the psalms versified, and we contend that a version of these alone is to be sung in divine worship. Now if our neighbor was contending for the right to sing some other version of the psalms, his argument would have weight against us. He could say, you sing a version that has words and lines that are not in the inspired psalms; and therefore you cannot consistently blame us for singing another version liable to the same objection. But he does not contend for singing the hymns of Watt or any other modern poet oa the ground that they are a version. His plea for hymn singing is, that the sentiment is scriptural, and the poetry is good, and therefore they should be sung. Watts repudiated the idea of a version. He expressed the relation that his production sustained to the Psalms of David by the term “imitation.” He claims that it is an excellence of his psalms that they are not a version. A literal version of some of the psalms he declared it would be wrong to sing. Now apply the argument to the question as thus fairly stated. United Presbyterians, and Reformed Presbyterians, sing the best version of the inspired psalms they can obtain. From this premise the first conclusion is, that therefore they cannot consistently condemn singing an imitation of the Psalms, and hymns prepared from other portions of Scripture; and the second conclusion is, therefore it is right to sing imitations of the Psalms, and hymns. If this is not a fair statement of the argument occupying more than one hundred pages in the two books, we confess ourselves utterly unable to understand it. How much the cause of hymns is helped by such reasoning, we leave to others to judge. 3. We looked at the instances of “vain repetition” exhibited from Rouse, and we confess we were not led to admire the accuracy of the vindicator. On page 19 of “Vindication,” the words “I delayed not,” taken from Psalm 119:60, are presented as the whole matter out of which the line, “I did not stay nor linger long, as those that slothful are,” is manufactured by Rouse. In the prose the words are, “I made haste, and delayed not.” Why leave out the words, “I made haste”? It was doubtless an oversight, but in such a case, care should be taken to be accurate. The additional words, “as those that slothful are,” although not in the psalm, is in perfect harmony with it, and therefore does not impair its claim to be a version.